April 28, 2018 is a great day for book lovers: it’s Independent Bookstore Day! 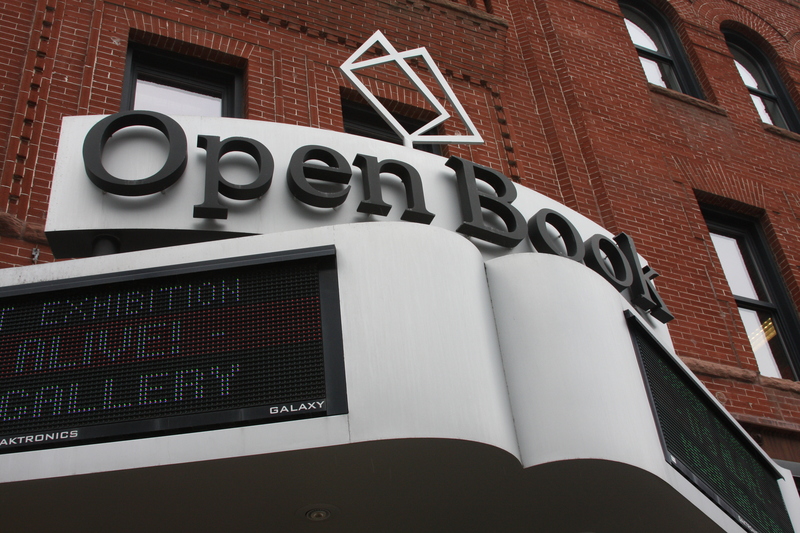 Minnesota has a huge number of indie bookshops, and most of them will be celebrating in one way or another. Certain officially participating stores will have exclusive Independent Bookstore Day items—which can include advance reader copies, posters, clothing, and more—and many will have a variety of sales, author appearances, free treats, and other goodies. Two local programs will give you even more chances for freebies. First, the Twin Cities Independent Bookstore Day Passport returns for a third year, now organized by the Rain Taxi—pick up your passport, which features illustrations by Twin Cities artist Kevin Cannon, at any of the 18 local participating stores. Each store visit earns you a stamp that activates a coupon and gives you an increased chance of winning gift cards and other prizes, including a grand prize worth over $500. The Midwest Independent Booksellers Association (MIBA) is also rolling out a new program this year, printing 50,000 copies of the Midwest Indie Bookstore Roadmap—also drawn by Kevin Cannon—that will provide more information on the whole region’s bookstores and even more chances to win prizes. If you post a photo of yourself in a featured bookstore with the #BookstoreRoadmap hashtag and tag @MidwestBooks and the bookstore, you could win a $25 gift card to that store. Every tagged photo also earns you an entry in grand-prize raffle that’s a bit of a long game: on next year’s Independent Bookstore Day, MIBA will select a random winner to receive a $500 gift card to an independent bookstore of their choice. Rain Taxi‘s Twin Cities Independent Bookstore Day Passport (left) and MIBA’s Midwest Indie Bookstore Roadmap (right). And in addition to the stores participating in the programs above, many other independent booksellers in the Twin Cities and beyond will celebrate with other fun activities and offers. Below is your full roundup—for more news and info, follow @BookstoreDay and #BookstoreDay on Twitter or check out IBD on Facebook. Birchbark Books and Native Arts in the Kenwood neighborhood is participating in the Twin Cities Passport and Midwest Roadmap and will be hosting a number of activities throughout the day. There will be lemonade and cookies for shoppers; May Day basket making and face painting from 10:00 a.m. to 2:00 p.m.; a dance performance by Ramsey’s Braggarts Morris Men at 11:00 a.m.; a Maisy Goes to the Local Bookstore story time for kids at 11:00 a.m. and 1:00 p.m. (followed by a Bookmark Making Mouse Creation Station); and an appearance and signing by author Kelly Barnhill at 2:00 p.m.
Boneshaker Books is participating in the Twin Cities Passport and Midwest Roadmap. Daybreak Press Global Bookshop on the U of M’s East Bank is participating in the Twin Cities Passport and Midwest Roadmap and will be having a National Poetry Month children’s reading hour from 2:00 to 4:00 p.m.
DreamHaven Books and Comics is participating in the Twin Cities Passport and Midwest Roadmap and will have a variety of free books available throughout the day. Eat My Words Bookstore in Northeast will be running a scavenger hunt for “fun literary prizes” as well as book-making crafts in the store. At 7:00 p.m., German sound artist Robert Stokowy will present his book structures [minneapolis], based on a project completed during his residence here, with a performance and discussion to follow. And there are a couple of events in the days leading up to Independent Bookstore Day, too: Thursday night is the store’s monthly open mic, run by local folk musician Peter Breen, and Friday night is a multimedia poetry performance by Marcus Styles. Magers & Quinn in Uptown is participating in the Twin Cities Passport and Midwest Roadmap and will have official Bookstore Day items available (click here to see a few of them). The store will be hosting poet Lynette Reini-Grandell (11:00 a.m.–2:00 p.m.) and local students James, Chloe, and Ava (3:00–5:00 p.m.) as guest booksellers, and from 7:00 to 9:00 p.m. there is an open-mic event where participants will read from the terrible or amazing things they wrote when they were younger. Mayday Books is offering 20% off all hardcover books and 15% off all paperbacks. Milkweed Books is participating in the Twin Cities Passport and the Midwest Roadmap. The store will be offering complimentary coffee from Five Watt Coffee and beer from Barrel Theory Beer Company as well as sales that include 10% off all books featuring shelf-talker bookmarks and 20% off all poetry titles. Chris McCormick, author of Desert Boys and assistant professor at Minnesota State University, will also be guest bookselling from noon to 1:00 p.m.
Open Book in downtown Minneapolis, home to Milkweed Books. Moon Palace Books in Longfellow (which moved down the street from its previous location in November) is participating in the Twin Cities Passport and Midwest Roadmap. The store will have Independent Bookstore Day exclusives and is running IBD specials in its new Geek Love Cafe: from 9:00 to 11:00, pick up a cup of free coffee; from 3:00 to 6:00, get two-for-one on tap beer, cider, or house wine; and from 6:00 to close, bring in Independent Bookstore Day receipts from five different Twin Cities bookstores and get half off a 12-inch specialty pizza (seven receipts and they’ll add a free mini cheesecake). Poetry Asylum is also presenting the Great Twin Cities Poetry Read from 6:00 to 9:00, featuring 30-plus local poets and “interactive poetic and literary activities” in the store’s event room. Once Upon A Crime is participating in the Twin Cities Passport and Midwest Roadmap and will host authors Michael A. Black and Shauna Washington in the store from noon to 2:00 p.m. Paperback Exchange is participating in the Twin Cities Passport and Midwest Roadmap and will have two-for-one deals, bargain books, other special discounts, prizes, free coffee and treats, and more. The store will be open expanded hours, from 9:00 a.m. to 8:00 p.m.
At Uncle Edgar’s Mystery Bookstore and Uncle Hugo’s Science Fiction Bookstore, all used books will be 20% off, and shoppers will get a free Uncle Hugo’s/Uncle Edgar’s bookbag with a $50 purchase. The University of Minnesota Bookstore in Coffman Union is participating in the Midwest Roadmap. Wild Rumpus Books for Young Readers is participating in the Twin Cities Passport and Midwest Roadmap, and canine crime fighter Dog Man will be in the store to meet with young shoppers. You can also watch Wild Rumpus’s animals (the store has resident cats, birds, chinchillas, and more) get their annual vet visit at 1:00 p.m.
Addendum Books is participating in the Twin Cities Passport and Midwest Roadmap and offering complimentary coffee, tea, and treats. Select books will be on sale, and if you spend over $100, you’ll get a free book-related T-shirt (while supplies last). At Against the Current in Macalester-Groveland, which opened last November, get a discount on your entire purchase by showing the staff a bookmark from another independent store: 10% off for a store within 99 miles of St. Paul, 20% for a store 100 to 999 miles away, and 30% off for 1,000 miles and beyond or any non-US store. Common Good Books, also in Mac-Grove, will have “free coffee and doughnuts, great recommendations, and a whole lot more.” The store is participating in the Twin Cities Passport and Midwest Roadmap and will be hosting several authors as guest booksellers: Mindy Mejia (Everything You Want Me to Be) from 10:00 a.m. to noon, Sally Franson (The Lady’s Guide to Selling Out) from noon to 2:00 p.m., and Louis Jenkins (Sea Smoke) from 2:00 to 4:00 p.m.
Lake Country Booksellers in White Bear Lake is participating in the Twin Cities Passport and Midwest Roadmap and will be opening an hour early, at 9:00 a.m. The store will be giving away treats and advanced reader’s copies throughout the day. At Midway Used & Rare Books in St. Paul, all books will be 20% off, and the store will have complimentary cookies for shoppers. Micawber’s Books, the Minnesota History Center Museum Store, and Open Book at the MSP Airport are participating in the Midwest Roadmap. Red Balloon Bookshop on Grand Avenue is participating in the Twin Cities Passport and Midwest Roadmap. The store will have Independent Bookstore Day exclusives as well as a full day of activities: story time at 10:30 a.m., face painting from 11:00 a.m. to 2:00 p.m., a John Green scavenger hunt at noon and at 4:00 p.m., an appearance by the Ramsey Middle School jazz band at 1:00, and a preview of Red Balloon’s Hogwarts Prep and Secret Identity summer camps at 3:00. Get the full details here. Also on Grand, at Sixth Chamber Used Books, spend $50 and get a $5 gift card for future use. Separately, the store is hosting a discussion of Train Dreams by Denis Johnson from 6:00 to 7:00 p.m. (RSVP requested). SubText Books in downtown St. Paul is participating in the Twin Cities Passport and Midwest Roadmap. SubText will have coffee and donuts in the morning, other beverages in the evening, storytime (11:00 a.m.), and music from Brian Barnes (6:30 p.m.). Author Nora McInerny and her “bonus babe,” Sophie (who runs the @sophies_book_corner Instagram account), will also be in the store as guest booksellers from noon to 2:00 p.m.
Beagle and Wolf Books & Bindery in Park Rapids will have Independent Bookstore Day items, is part of the Midwest Roadmap and is offering a free book with every purchase. The store will host two author appearances, Eric Bergeson (Successful Gardening on the Northern Prairie) at 11:00 and Chelsey Johnson (Stray City) at 1:00, and Paige Leeseberg will be stopping in to provide live piano music. Bev’s Book Nook in Perham and Bexter Book & Copy in Milaca are participating in the Midwest Roadmap. Book Break of Maple Lake is participating in the Midwest Roadmap. The store is having a 10% store-wide sale on books, sheet music, and videos and will have free popcorn and free coloring for all ages. The Book Mark at Gustavus Adolphus is participating in the Midwest Roadmap. Buffalo Books & Coffee in Buffalo will have Independent Bookstore Day exclusives, prizes, a literary photo booth from 10:00 a.m. to 1:00 p.m., and a Llama Llama coloring station. The store is part of the Midwest Roadmap, and health and lifestyle author Connie Stoltz-McDonald will also be holding a signing from 11:00 a.m. to 2:00 p.m. The Bookstore at Fitger’s in Duluth is participating in the Midwest Roadmap and will have “special treats, deals, and prizes throughout the day.” Keep an eye on the Facebook event page for more details to come. 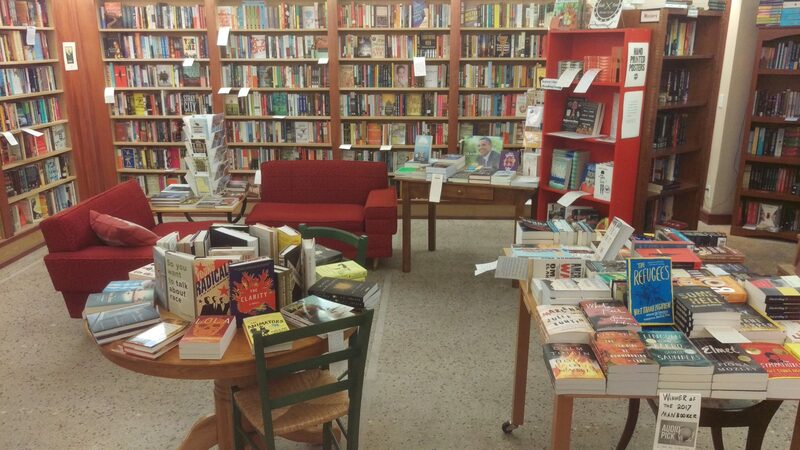 Chapter2Books in Hudson, Wisconsin, is participating in the Twin Cities Passport and will have discounts, giveaways, and Independent Bookstore Day exclusives. Author Lauri Moreland will also be in the store at noon for a meet and greet. Cherry Street Books in Alexandria is participating in the Midwest Roadmap. Driftless Books in Wabasha is participating in the Midwest Roadmap. Drury Lane Books in Grand Marais will be giving out a free book with every purchase, and the store is hosting a picture-book story hour with Kevin (also known as the Muffin Man) at 11:00 a.m.
Excelsior Bay Books in Excelsior is participating in the Twin Cities Passport and Midwest Roadmap and will have Independent Bookstore Day exclusives and snacks on hand. Fair Trade Books in Red Wing is participating in the Midwest Roadmap and will have complimentary coffee, door prizes, stickers, and balloons to celebrate Independent Bookstore Day. Local author Paul Schaefer will read from his book Riding Shotgun and talk about its sequel. Watch the Facebook event page for more information to come. Fair Trade Books in Rochester is participating in the Midwest Roadmap. Little Professor Book Center in Owatonna will be having a 20% off storewide sale and is participating in the Midwest Roadmap. An Open Book in Wadena is participating in the Midwest Roadmap. Paperbacks and Pieces in Winona is participating in the Midwest Roadmap and will have 2017 and 2018 IBD items, free coloring, sales and specials, and tarot readings. Independent Bookstore Day coincides with Midwest Music Fest this year, so there will be plenty of other festivities going on in town as well. Piragis Northwoods Company in Ely is participating in the Midwest Roadmap. At Scout & Morgan Books in Cambridge, everything in stock will be 20% off. There will also be drawings and Independent Bookstore Day exclusives, and the store is participating in the Midwest Roadmap. Sweet Peas and Back Forty Books in Two Harbors is participating in the Midwest Roadmap. The store will be running a 10% sale on all new books, and used books are buy four, get one free. 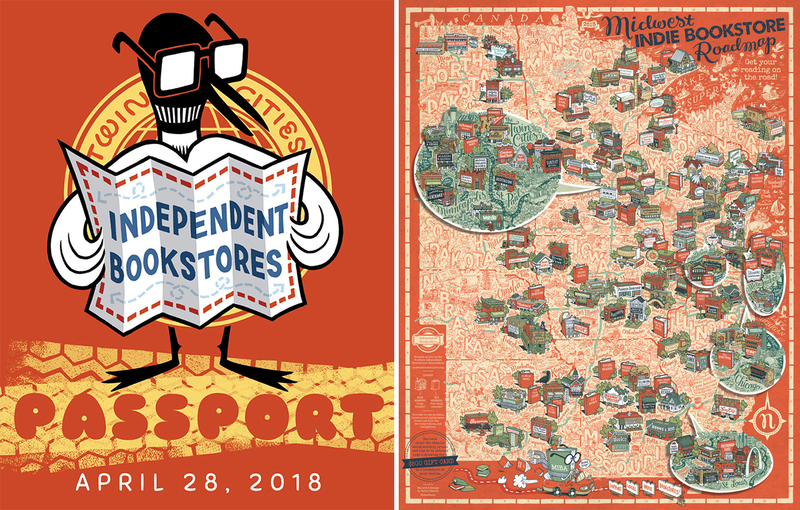 Valley Bookseller in Stillwater is participating in the Twin Cities Passport and and Midwest Roadmap and will have special merchandise, treats, and prizes available. There will be drawings on the hour for gift cards and a selfie contest. Tag Valley Bookseller on your most clever selfie inside or outside the store for a chance at a $50.00 shopping spree. The Village Bookstore in Grand Rapids is participating in the Midwest Roadmap. Zenith Bookstore in Duluth is participating in the Midwest Roadmap and will have Independent Bookstore Day exclusives and other giveaways as well as cider and cookies. Local authors Linda LeGarde Grover and Ryan Vine will be in the store in the afternoon, and store labradoodle Lisa will also be making an appearance.